Close-up of the work of the master Barber special equipment clippers and a comb. Equals the hair to the side . 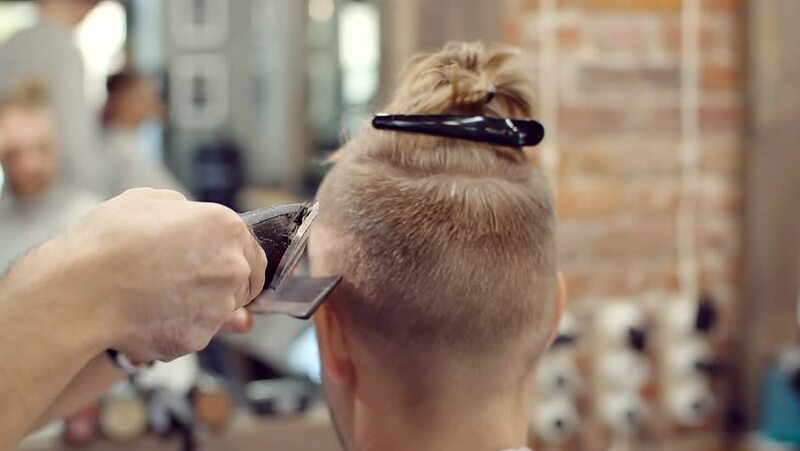 4k00:16The guy does hair styling after haircuts. Barbershop.